Think of it as a new style of microwave, that doesn’t use microwaves at all. 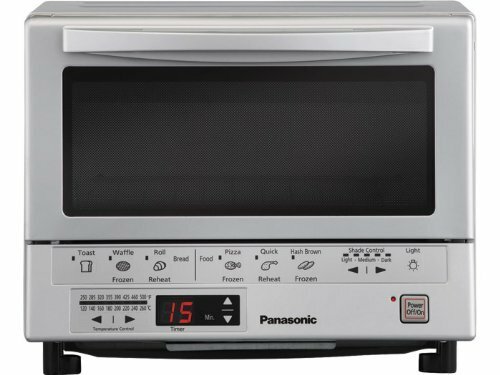 The Panasonic NG-G110P Flash Express Toaster Oven ($107) uses two infrared cooking lights. 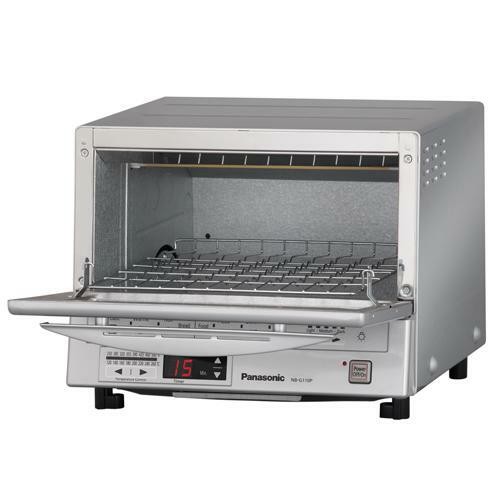 The main difference between traditional mini-ovens is that hit sone is up to 40% faster. At first glance it looks like a piece of lab equipment or an oscilloscope. 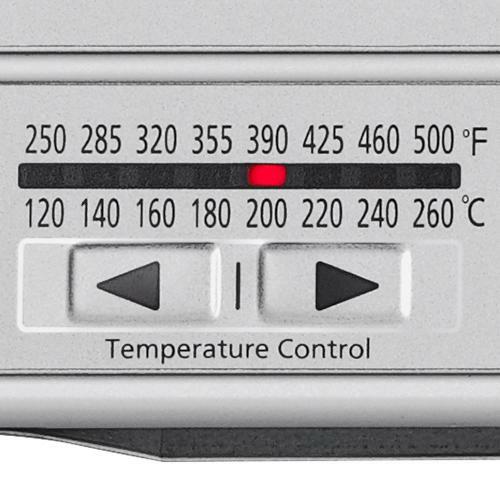 Temperature settings from 250F-500F with a digital timer for up to 25 minutes. Interior dimensions will fit a 9-inch diameter pizza or four slices of bread. 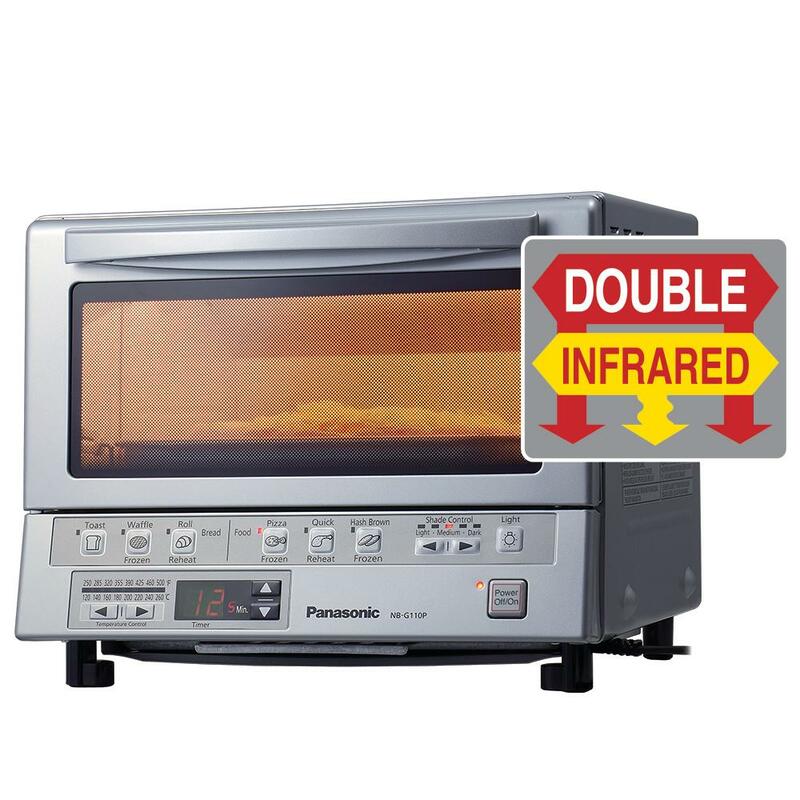 Toast, bake, brown and reheat up to 40% faster than conventional toaster ovens with the smart, double-infrared power of the Panasonic NB-G110P Flash Xpress Toaster Oven. With FlashXpress you never preheat. Just push ”on” for instant, super-efficient heat from two quartz and ceramic elements for food cooked thoroughly inside and out. Cook settings and controls are easy to use and logically located on the oven”s stay-cool control panel. Six pre-set touch modes automatically calculate the perfect temperature and time for heating everything from toast to leftovers to frozen hash browns and pizza. And for perfect snacks, piping hot meals and side dishes, a touch-button temperature sensor gives you precise manual control with eight precision heat level settings and a smart digital timer. The oven”s simple, clean design accents any kitchen décor or countertop. And for added convenience, the oven includes a distinctive square inner tray, a baking tray and removable crumb tray, plus a bright interior light.